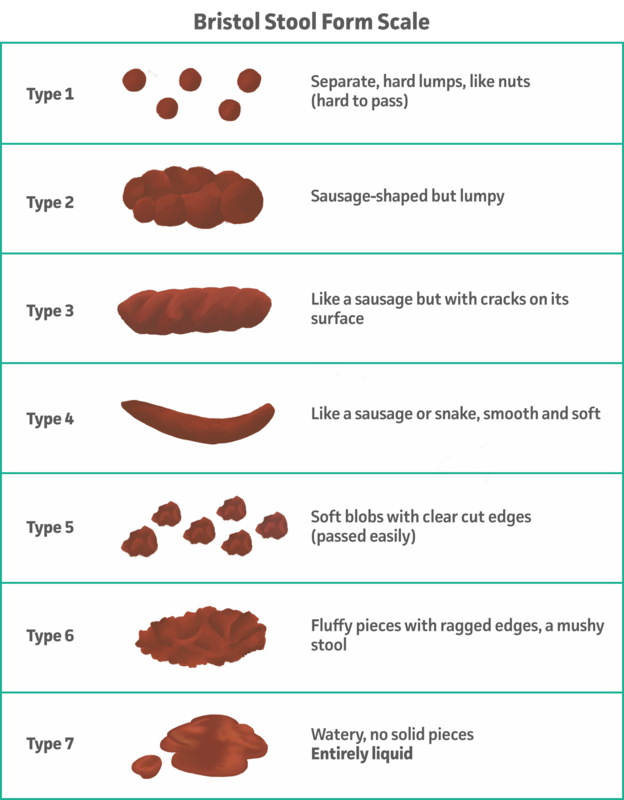 Do you use the Bristol Stool Scale and want to contribute your expertise? Join our contributor team! Lewis SJ, Heaton KW. Stool form scale as a useful guide to intestinal transit time. Scand J Gastroenterol. 1997;32(9):920-4. Blake MR, Raker JM, Whelan K. Validity and reliability of the Bristol Stool Form Scale in healthy adults and patients with diarrhoea-predominant irritable bowel syndrome. Aliment Pharmacol Ther. 2016;44(7):693-703. Amarenco G. Bristol Stool Chart: Prospective and monocentric study of "stools introspection" in healthy subjects. Prog Urol. 2014;24(11):708-13. Lacy BE, Patel NK. Rome Criteria and a Diagnostic Approach to Irritable Bowel Syndrome. J Clin Med. 2017;6(11). Stephen J. Lewis, MD, MB ChB (Aber), BSc(Hons), FRCP, is a gastroenterologist at Derriford Hospital in Plymouth, United Kingdom and an affiliate of the Bristol Nutrition Biomedical Research Unit in Bristol. He trained in infectious diseases at the Hospital for Tropical Diseases in London and worked with medical charities in West Africa. Dr. Lewis’ primary research interests include perioperative nutrition, infectious disease, irritable bowel syndrome, malabsorption, and intestinal infections.